Shahid Afridi smashes an undefeated 59 runs off 17 balls. Shahid Afridi hits Wahab Riaz by four consecutive sixes in the 8th over. 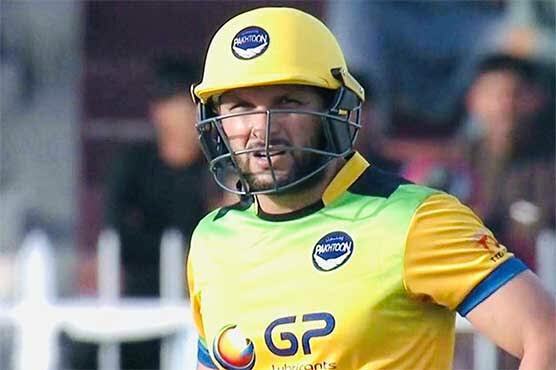 Shahid Afridi backfired as he served his fans by showing destructive batting in the T20 League Qualifier Final between Northern Warriors vs Pakhtoons on Saturday night. Shahid Afridi's powerful unbeaten strike helped the Pakhtoons in winning the match by 13 runs and reach the final of the tournament where they will once again face Northern Warriors.